When the neighborhood shapes go climbing on the park jungle gym the last thing they expect is a tangle. First the circle, next the triangle and then the square. One by one soon all sixteen shapes are trapped. They push and pull and tumble and cry for help. Who will save them? One special shape can set the others free. Can you guess which one it is? 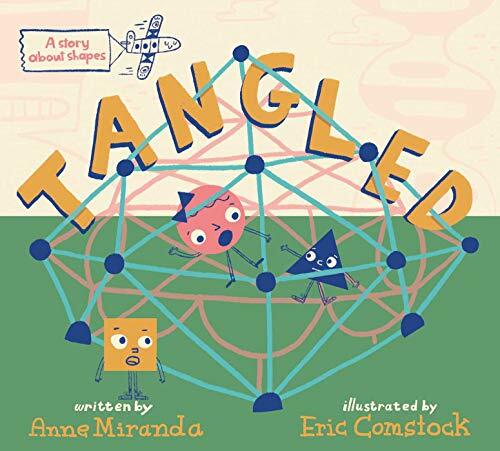 This charming story makes learning the names of sixteen shapes as easy as a day in the park. © Anne Miranda 2019 All rights reserved.